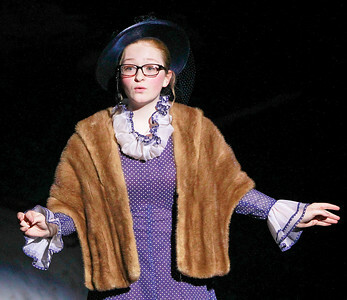 Candace H. Johnson Mary Poppins, played by Ashlyn Maifield, rehearses her lines in Act II during dress rehearsal for Mary Poppins at Grant Community High School in Fox Lake. 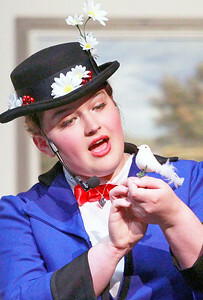 Candace H. Johnson Jack Myers, as Bert, and Ashlyn Maifield, as Mary Poppins sing "Step in Time" during dress rehearsal for Mary Poppins at Grant Community High School in Fox Lake. 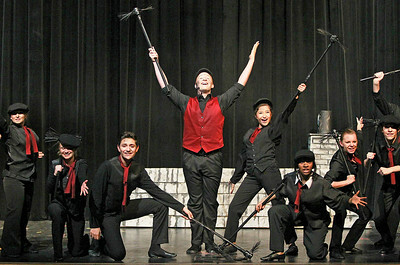 Candace H. Johnson Grant students perform "Step in Time" as chimney sweeps during dress rehearsal for Mary Poppins at Grant Community High School in Fox Lake. Candace H. Johnson Jack Myers as Bert and Danny Black, as George Banks rehearse their lines during dress rehearsal for Mary Poppins at Grant Community High School in Fox Lake. 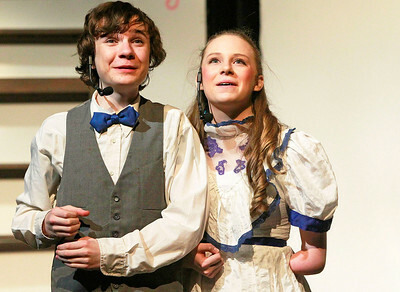 Candace H. Johnson Kyle Knudsen and Katherine Freimuth, as siblings Michael and Jane Banks, rehearse their lines in Act II during dress rehearsal for Mary Poppins at Grant Community High School in Fox Lake. 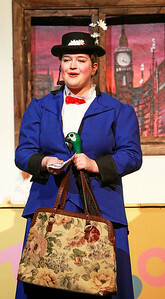 Candace H. Johnson Bridget Wright, as Winifred Banks, sings, "Being Mrs. Banks" during dress rehearsal for Mary Poppins at Grant Community High School in Fox Lake. 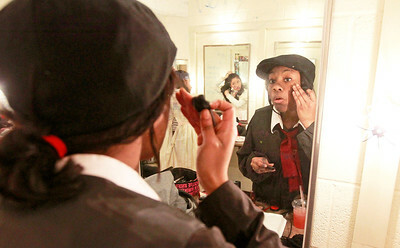 Candace H. Johnson Dierra Reed, 17, of Fox Lake puts on some makeup to look like a chimney sweep during dress rehearsal for Mary Poppins at Grant Community High School in Fox Lake. 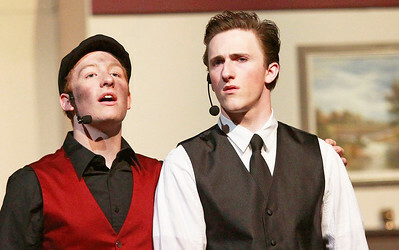 Candace H. Johnson Jack Myers, as Bert, (center) sings "Step in Time" with the chimney sweeps during dress rehearsal for Mary Poppins at Grant Community High School in Fox Lake. 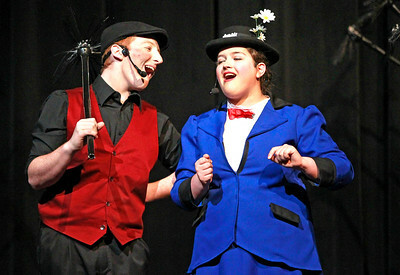 Jack Myers, as Bert, and Ashlyn Maifield, as Mary Poppins sing "Step in Time" during dress rehearsal for Mary Poppins at Grant Community High School in Fox Lake.